So, what is The Secret?? The secret is the Law of Attraction. If you’re a regular reader of self-help books, then you’ve probably come across this concept/notion somewhere before. What we always think about will appear in our lives. THOUGHTS become THINGS, as Mike Dooley (author and international speaker) said. After introducing the Law of Attraction, the book goes on to provide practical tips, advices and steps/processes on how to apply it in our daily lives, to get what we want. 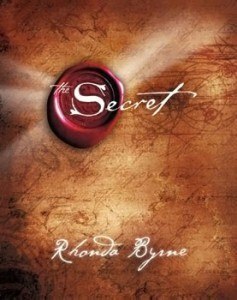 And throughout the book, various practitioners of The Secret, including Rhonda, share their personal experiences with the Law of Attraction and how they made it work for them. The book then zooms in on how to use the Law to improve each key area of our lives – Money, Health, Relationships, etc. Why it doesn’t work for me? I read The Secret (it was my first self-help book) a few years back. It helped me through a very trying time and for that I wil l always reserve a special place in my heart for this book. That said, the Law of Attraction divides a room. Half of it will tell you about the amazing results they’ve experienced, while the other either calls it a bunch of baloney or has given up on it. My personal opinion – The Secret is Real. Our mind is divided into the conscious and subconscious mind. Our conscious mind does all the thinking and reasoning, but it is our subconscious mind that is running the show and making all the decisions for us. This mind has been shaped by years of either positive or negative thoughts, and some theorists are now saying that the subconscious has been influenced for CENTURIES by our ancestors and passed on through many generations, to us!! Some people spent years building up negative conditions as the result of negative thoughts, then expect to see their entire lives change through 15 or 20 minutes of right thinking. 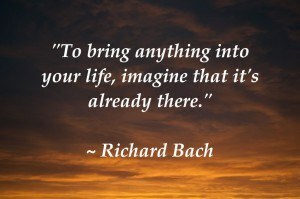 That is why many people fail when it comes to the Law of Attraction. If your mind has been shaped by years of negative thoughts, then it would be hard for you to CONSISTENTLY think the right thoughts. To be grateful ALL THE TIME. This book does not specifically guide you in this. To reprogram your thoughts and habits I would recommend this tool instead. You can get this book at Amazon, or at any of the bookstores near you. Last I checked, the price is $4.33 for the paperback edition, $6.99 for the Kindle, $13.53 for hardcover and $17.95 for the audiobook download. And really, I think it’s a small price to pay for what you will gain from reading this book. Secondhand books will be cheaper still. And by the way, Amazon provides a free Kindle reading app if that’s your preference. If you are just stepping into the world of self-help, then I would recommend this book to you. You do not need any prior knowledge to get what’s written inside this book. It’s easy to understand, you’d feel good reading it, and it’d probably motivate you to explore other books of this topic. Advanced self-help book readers may have come across this topic before in one of their many readings, and find the content inside this book to be nothing new (in which case, feel free to check out my review of the tool I mentioned above). I hope you’ve enjoyed this review (please feel free to share if you do! ), and if you have any questions or comments do leave them below and I will get back to you ASAP. See you around, then! This has always been a fascinating topic for me for years! I watched The Secret years ago and my son watched it a while back (he found it on his own) and he got all excited about it! I agree with you – I too think it is real. In my opinion, what makes it so difficult are all of the unconscious programs that we are up against and not even aware of. I also looked at your other recommendation – looks great! One of my favorite topics! Thanks for sharing this very informative article! Judging by the ratings of this book I’m probably in the minority here but I got The Secret on audiobook a while back and unfortunately I am part of the 50% who thinks it’s baloney. Now I knew about the Law of Attraction before going through the book but I felt the whole book was just ‘the universe will give you this, the universe will give you that if you ask for it’. The whole book can be summed up like if you have a positive mindset and a clear goal you will reach that goal. I guess my biggest problem with the Law of Attraction and books like The Secret is that they never tell you to take action. It’s always draw these diagrams, visualization techniques, positive affirmations and all these things to keep your goal in your mind but the last step is usually something like ‘thank the universe when you receive it’. As if that thing you want will just come to you if you want it bad enough. Although visualization and all these things will help but if you just sit there and do all these things – nothing will happen. Unless you take action steps toward that goal. I think the Law of Attraction kind of omits the fact that you actually have to take action towards your goal and just focuses completely on the mindset part but says absolutely nothing on the action part. Which is arguably the most important part. It’s like giving you all the ingredients to bake a cake but if you don’t actually bake the cake, you still don’t have a cake. I agree with you that action is a very important part in achieving our goals. But make sure that the action you take is inspired action, not forced. Forced action is action that you take for the sole purpose of trying to make something happen – because you think you should be doing something. You will feel no excitement and no motivation for this type of action. Results are going to be few and far between, even though you’re working really hard. Inspired action is action that you take when you feel inspired to do it. Inspired action is always accompanied by a rush of energy, as well as feelings of excitement, enthusiasm and joy. When you’re taking inspired action, you are in the zone – and everything just flows. Very nice review, Clark! I also am a self-help book junkie. I have been making my way through The Prosperity Bible and have found one of my favorite authors to be Robert Collier. This is a great idea for a website and I plan to return! Thanks, Lisa. You’re welcomed here anytime! I actually stumbled across this book many times, but didn’t even take it in my hands. Somehow I thought it was not for me… Only now I know it was! I just have to have it! Thanks! Get it quick! 🙂 And share with us any breakthroughs you achieve! Hi Clark. I know of a few people that had read self help books and expected their lives to just turn around from it. I am happy that you were able to use it upon yourself but for most people, they need much more than just the books and those with more serious issues will also need to seek therapy. I also read a couple self help books and balked at them many years back. My mind wasn’t open enough back then and I really didn’t put any weight into what the authors were saying. I think the key here is that when you read the book, be open to the views in the book and seek other support methods as well. Books are a great way to get to understand things you are struggling with, but don’t feel you need to go it alone. Lean on family, friends, and support groups. You’re right in that you don’t need to rely on a single source to turn your life around. Read different books, try different things. One day, you’ll find that you’re already there, and have been there for some time without realizing it. I love self-help books and this one is a must. I listen to it while at work through my Bluetooth ear buds. Great review. Thanks, Melissa. You made an interesting point there. You can read the book/watch the video/listen to the audio more than once, because you gain a little more each time you do it :). Sounds like I would benefit from this book. I come from a past that is full of negativity and no matter how hard I try to think the right way and be positive I always fall off course. Do you prefer a specific version of the book? I’ve never tried an audiobook before. How many minutes is it? Thanks. I’m more of a reader so I prefer the book. I guess the audio version is about 2-hour long. If you find it hard to be positive then you must follow the link above and listen to the free subliminal audios. I really enjoyed reading this review, I think you did a great job on it. I have never heard of the Law of Attraction before, so this review has definitely raised my curiosity about it. Nice job! Thanks. Next, you should read other books and learn more about the Law of Attraction. It is a beautiful concept.